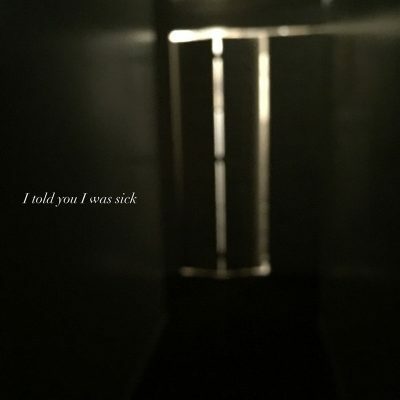 Lined with hypnotically cyclical guitar loops and gloomy vocal harmonies, I Told You I Was Sick is an atmospheric EP wrought with loneliness and depression. Consisting of Jake Joyner and Chazz Pitts (of Mini Golf), Rotten Things follows Mini Golf’s lo-fi, singer/songwriter sound with more instrumental layering and the addition of a piano. The recording sounds slightly echoic as each track builds on itself, giving the EP a dark, almost sanctimonious feeling. The lyrics of I Told You I Was Sick are somewhat simple, yet impactful. The EP almost feels as though the listener is overhearing a therapy session—“Gray/Grey” starts with “16, everything was orange and green / Now I’m 19 everything is gray,” which sets the tone for the rest of the EP lyrically. Every song blends seamlessly into the next instrumentally, almost as if the EP was following one continuous train of thought. However, there is a strange occurrence in Rotten Things’ cover of The Rembrandts‘ “I’ll Be There For You” (yes, the Friends theme song), which only lasts about as long as the actual theme song would in the show. Even with the album’s melancholy tone, the cover stands out as being (possibly) sardonic, and the Rotten Things version is significantly less cheerful, but creates a somewhat jarring break within the sad atmosphere of the original songs.